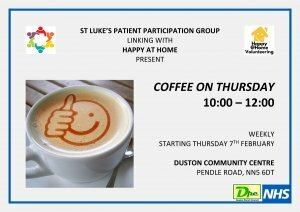 Please call in for coffee, cake and chat. 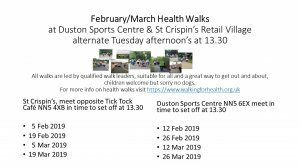 Meet representatives from St Luke's Patient Participation Group, Happy at Home and Duston Parish Council. XHTML 1.0 validated. WCAG compliant. Page generated in 0.1597 seconds.